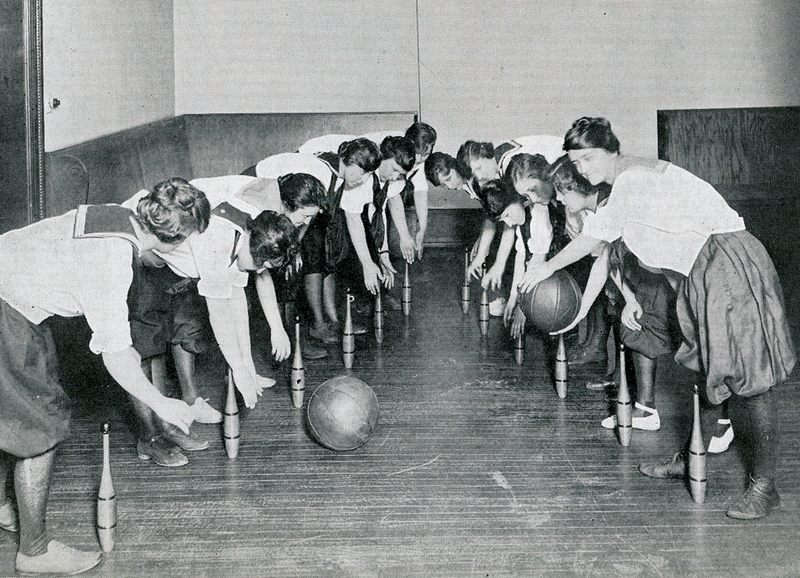 In this 1920 photo from the Rush Archives, nursing students participate in a gymnasium class at the St. Luke’s Hospital School of Nursing. The course work at St. Luke’s Hospital School of Nursing in 1920 included scientific lectures by hospital doctors in anatomy, physiology, pathology and dietetics. In addition, the curriculum required practical courses including gymnasium exercises, social dance and massage. The St. Luke’s Hospital School of Nursing is a predecessor to the Rush College of Nursing. It operated on South Michigan Avenue from 1886 to 1956. This entry was posted in Nursing, Rush Archives, Rush University and tagged nursing, Rush Archives, Rush College of Nursing, st. luke's hospital. Bookmark the permalink.